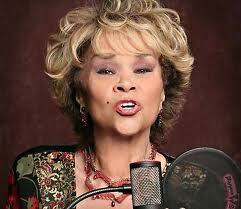 Just five days before her 74th birthday, music icon Etta James has passed on. After battling multiple illnesses and the demons of addiction, leukemia and its complications took her body. But her spirit, her voice, will be with us forever through a catalog that spans 5 decades and every genre of music: blues, jazz, pop, soul, R&B, even hip-hop. Jamesetta Hawkins was born in Los Angeles, but discovered in San Francisco, becoming a star on the Chess records roster in the ’50s. Her Bay Area roots intersected with mine in 1989, when a green, wide-eyed intern got the opportunity to work for her manager of 30 years, Lupe DeLeon at DeLeon Artists, where Etta’s name topped the roster. Working for Lupe meant working for Etta: going over her contracts with a fine-toothed comb, making sure her rider was adhered to without fail, booking her travel, and my sweet reward: watching her enthrall audiences the size of small clubs and festival arenas with her potent mix of sweetness and surliness, playing with emotions as she bent a line or growled a riff. I am so grateful for the boldness, fire and utter passion for expression that Etta modeled for me. Etta James worked so hard, laughed so wisely, and commanded so much respect, it was an honor for her to chew me out because Lupe was wrapping up a call. She would boom, “you tell Lupe I don’t care who’s on the phone, ’cause I’m on it now!” Ironically, she’s a big part of why you can’t just talk to me any way you feel like it. Just carrying her messages made me feel important. She was music royalty, and had the hits (All I could Do Was Cry, Sunday Kind of Love, Something’s Got A Hold On Me, At Last and so many others), The Grammy Awards (six) and inductions into the Blues Hall of Fame, Rockabilly Hall of Fame, and the Rock & Roll Hall of Fame to show for it. I know I said thank you to her for her music, but in the years that followed, I never crossed paths with her to thank her for all the ways my time working with her helped me through the ups and downs of my career. In life, on stage–didn’t matter; she never held her tongue, never held back. Through song, her pain became our healing balm. Her sway gave us raw sensuality that defied stereotype. Her voice was her gift. Her fearlessness was her power. Her refusal to be silenced in a time when a Black woman artist’s personal freedom was far from guaranteed is her legacy. 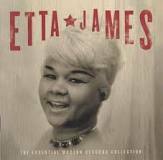 Etta James and her family request that in lieu of flowers, you make a donation to the Rhythm and Blues Foundation to honor Etta’s memory. You can do so at http://www.rhythmblues.org/. This entry was posted on January 20, 2012 at 7:00 pm and is filed under Entertainment. You can follow any responses to this entry through the RSS 2.0 feed. You can leave a response, or trackback from your own site. Great tribute. Thanks for posting! Very very nice write up on Etta…written extremely well!